Chocolate Brown and Pink mixed together with polka dots and Fleur De Leis ribbon. The dream mixture for any little girl. The base is a solid chocolate brown, then a criss cross of a satin 5/8" Fleur De Leis ribbon. 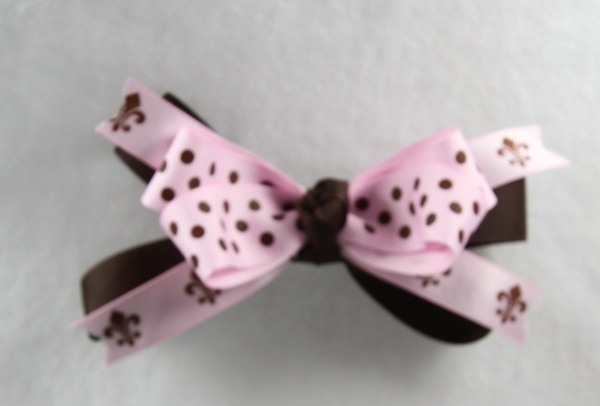 The top bow is pink with chocolate polka dots and tied into a French knot with a solid chocolate brown. What a great combination.